UO graduate student Hilarie Sorensen went to sea on her first research cruise in May in search of a species of jellyfish seen in large numbers the previous two years along the Oregon coast. Instead of finding the water jellies she sought, she witnessed an emerging phenomenon along the Pacific Northwest coastline. In a two-week trip from San Francisco to Newport, Sorensen and other scientists got a close-up look at a lot of pyrosomes. These strange, small, jelly-like, tubular organisms are common in temperate water, but their numbers are growing and interrupting coastal fishing operations. Water jellies up to five inches in circumference had been inundating some Oregon beaches. They are commonly found along British Columbia and Washington coastlines but range from Alaska to California. They glow when touched or disturbed. Pyrosomes are made up of individual small, multicellular organisms, linked together in a tunic to form a colony shaped like a tube. They are filter feeders and use tiny, hairlike projections to draw plankton into their mucous filter. The ones seen off Oregon ranged in size from about an inch to more than 2 feet long. 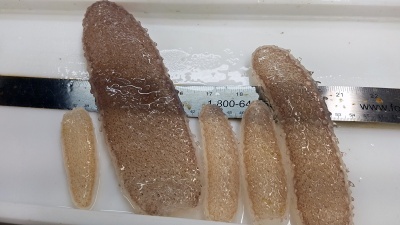 The appearance of the pyrosomes is being studied by the Northwest Fisheries Science Center, a research station of the National Oceanic and Atmospheric Administration in Newport, in collaboration with the UO and with Sea Grant funding through Oregon State University. Brodeur has worked off the Oregon Coast since the 1980s and had never seen a pyrosome before 2014. The situation off the Oregon coast was detailed in a National Geographic story “Bizarre, Glowing Sea Creatures Bloom in the Pacific” published July 13. Since then, pyrosomes have multiplied into unprecedented numbers. A five-minute mid-water tow of a research net off the Columbia River in late May brought up approximately 60,000 of the organisms. Underwater video captured by Sorensen while on the NOAA research ship Bell M Shimada showed pyrosomes in high densities from about 40 to 200 miles off the Oregon Coast. More were seen as the ship moved northward, Sorensen said. During nighttime hours, they were seen migrating from deep water to the surface, she added. Some bony fish, dolphins and whales are known to eat pyrosomes, but scientists know little about their role in the offshore ecosystem or how they may affect the food web in areas where they are now appearing in such high densities. The feeding behavior of pyrosomes, the environmental variables that may affect their numbers and their effects on the food web are largely unknown. She said one hypothesis is that the pyrosomes have migrated northward amid warmer ocean conditions in the last three years. Another possible explanation is that they are usually much further offshore but are being delivered by currents to more coastal waters. Sutherland is a professor of biology at the Oregon Institute of Marine Biology and the Clark Honors College. Sorensen is pursuing a doctoral degree at the Oregon Institute of Marine Biology in Charleston. She earned a bachelor’s degree from the University of Minnesota Duluth in 2009 and a master’s degree from Lakehead University in Thunder Bay, Ontario, in 2013. 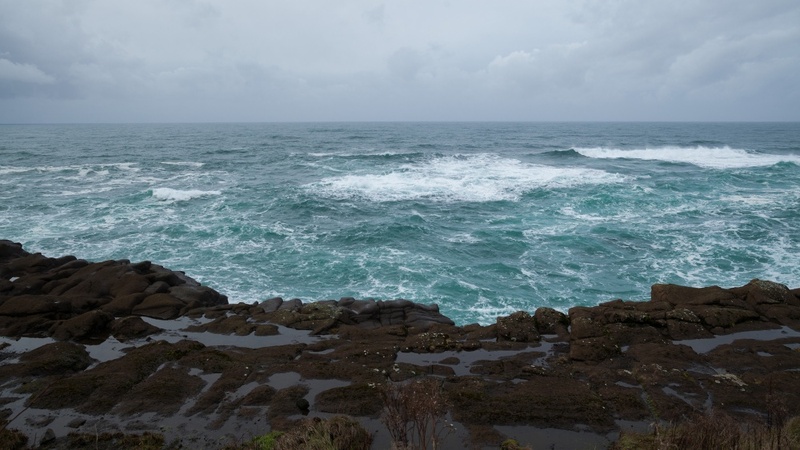 Sorensen described the research in a blog posted on Northwest Fisheries Science Center website. Her blog includes images and a video she shot while on board the research ship.